With Windows Vista, it’s amazingly easy to set up the Remote Desktop feature so that you can work between your laptop and desktop computers. Keep in mind that you should use Remote Desktop only in a secure environment — say, over a local network and not over the Internet. 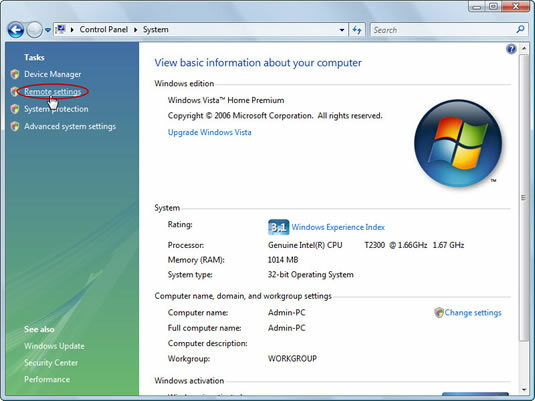 You can configure either the desktop or laptop computer for remote access; either way works fine. Choose Control Panel from the Start menu, and open the Control Panel’s System icon. In the list of tasks on the left side of the window, choose Remote Settings. If a User Account Control (UAC) dialog box appears, click the Continue button. In the System Properties dialog box, on the Remote tab in the Remote Desktop area, choose the item labeled Allow Connections from Computers Running Any Version of Remote Desktop. That’s it. The computer is now open to sharing its desktop remotely with another computer on the network. For the Remote Desktop to work, you have to create an exception for the Windows Firewall. Choose Control Panel from the Start menu, and open the Control Panel’s Windows Firewall icon. 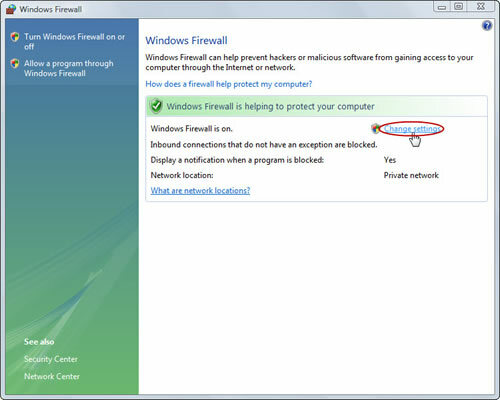 In the Windows Firewall window, click the link that says Change Settings. Click the Continue button if prompted by a User Account Control warning. 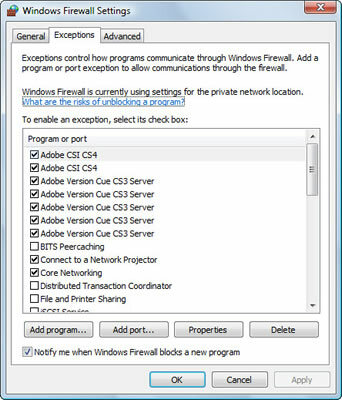 In the Windows Firewall Settings dialog box, click the Exceptions tab. Scroll through the list to find the item called Remote Desktop, and place a check mark by that item. Click the OK button, and then close the Windows Firewall and Control Panel windows. When the remote desktop is set up and connected, what you see on your laptop’s screen is actually the display of another computer on the network. Moving the mouse on your laptop moves the mouse on the other computer, and ditto for the keyboard. It’s just as though you’re sitting at that computer, when you’re actually working things from a remote location. Sadly, you cannot copy files and folders between the remote system and your own computer by dragging things into and out of the remote desktop’s window. The Remote Desktop Connection is more of a control and access feature than a file exchange utility.